ALTMAR – Setting an elevated standard of hospitality for nature lovers and outdoor adventurers alike, Tapestry Collection by Hilton has added Tailwater Lodge Altmar to Hilton’s newest collection brand, providing rustic charm and comfort to travelers visiting the quaint New York town. Tailwater Lodge Altmar joins Tapestry Collection by Hilton’s growing portfolio of unique upscale hotels, offering guests an independent hotel stay experience supported by Hilton and its award-winning Hilton Honors program. Altmar is a charming, rustic town only 38 miles from downtown Syracuse. 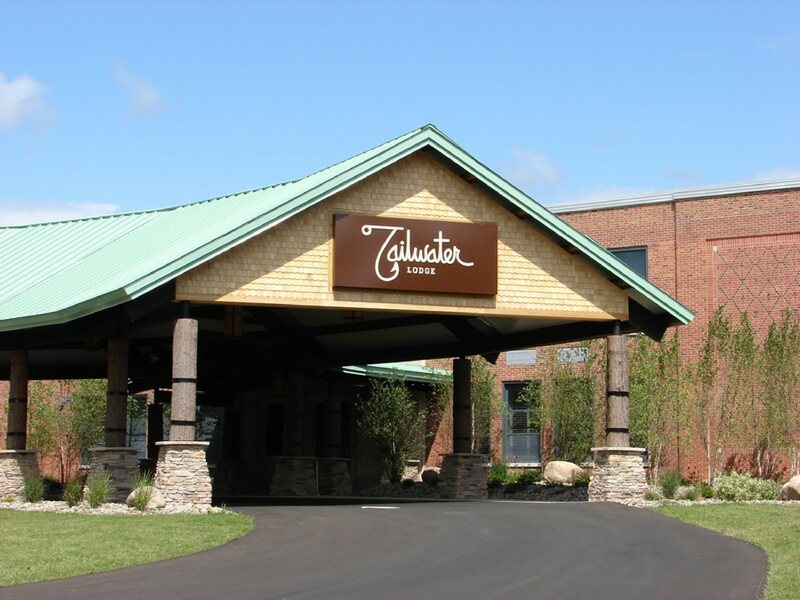 Known for its salmon and steelhead fishing, Tailwater Lodge is an Orvis-endorsed lodge specializing in fly fishing where guests can try their hand at landing some of the largest freshwater game fish in the world. The winter months lead to heavy snowfalls resulting in prime conditions for cross-country skiing, snowshoeing, snowmobiling and fishing. Originally, the Tailwater Lodge Altmar property was home to the two-story Altmar Elementary School and has since been converted to an outdoor oasis offering lodge-style guest rooms, which embrace the earth toned colors of the environment. Guests can enjoy a memorable meal at The Tailwater Bar & Restaurant, which serves comfort food with a contemporary twist. The on-property bar, The Tasting Room, offers a sampling of New York State and beyond with 24 beers on tap, an extensive wine list and spirits. The hotel also offers a spectacular event space, The Barn, which can host up to 450 guests and features breathtaking design elements including a ceiling made of rough-hewn beams. By the end of 2018, the lodge will add additional guestrooms, a fitness center, an indoor pool and other leisure amenities for visitors. Tailwater Lodge will remain open during enhancements to the property, offering guests the same level of excellence in quality and experience. In May, Tapestry Collection by Hilton debuted a partnership with Youth Service America to support young people through the #LeadASAP Tapestry Collection Spark the Arts Campaign, which activates youth to use their “spark” for the arts to improve their communities. The grants are awarded in or around Tapestry Collection hotel locations, and all projects should fall into the categories of either Awareness, Service, Advocacy or Philanthropy. To celebrate the addition of Tailwater Lodge to the collection, the grant application for youth ages 12-25 in the Altmar-area is now open. Those interested can visit www.ysa.org/tailwater for more information and to submit their application. Tailwater Lodge Altmar, Tapestry Collection by Hilton is part of Hilton Honors, the award-winning guest-loyalty program for Hilton’s 14 distinct hotel brands. To learn more about Tailwater Lodge Altmar, Tapestry Collection by Hilton and to make a reservation, visit the hotel’s website at tailwaterlodge.tapestrycollection.com. All three phases of the development and renaissance from a vacant school property to Phase 1 (2013), the initial renovations to a 42-room hotel, to Phase 2 (2016), the expansion with The Barn and The Tasting Room banquet and bar facilities, and Phase 3 (now in process), adding another 46 rooms with spa, swimming pool and exercise facilities, have been assisted by Pathfinder Bank and the County of Oswego IDA. Phase 2 also received assistance from Empire State Development through the CNY REDC CFA process.